Probiotics are live microbes, which when administered in adequate amounts confer a health benefit to the host. Bacillus species have been used as probiotics for at least 50 years with the Italian product known as Enterogermina® registered in 1958 in Italy as an OTC medicinal supplement. The scientific interest in Bacillus species as probiotics though, has really grown only in the last 15 years and a number of important reviews cover this growing area of scientific interest. Of the species that have been most extensively examined these are Bacillus subtilis, Bacillus clausii, Bacillus cereus, Bacillus coagulans and Bacillus licheniformis. Spores being heat-stable have a number of advantages over other non-spore-formers such as Lactobacillus spp., namely, that the product can be stored at room temperature in a desiccated form without any deleterious effect on viability. A second advantage is that the spore is capable of surviving the low pH of the gastric barrier which is not the case for all species of Lactobacillus so in principle a specified dose of spores can be stored indefinitely without refrigeration and the entire dose of ingested bacteria will reach the small intestine intact. Spore probiotics are being used extensively in humans as dietary supplements, in animals as growth promoters and competitive exclusion agents and lastly in aquaculture for enhancing the growth and disease-resistance of cultured shrimps, most notably the Black Tiger shrimp (Penaeus monodon). Interestingly, a number of Bacillus products are licensed as medicinal supplements. Professor Simon Cutting and therefore, SporeGen®, have extensive experience with Bacillus species as probiotics and have been involved in a number of GRAS applications, consultancies and contract work regarding the use of spores as probiotics and as animal feed supplements. In recent work pigmented Bacillus species have been characterised and the pigment has been shown to be due to one or more carotenoids. These carotenoids have been shown to carry anti-oxidant activity in vitro and thus could be of nutritional value. Yellow, orange, red and pink Bacillus species can be obtained from soil, river and pond sediments as well as from the intestinal tracts of animals. The carotenoids are found in the vegetative cell as well as in the spore and they help protect spores from UV radiation. It is no surprise that Bacillus species found in aquatic environments and the animals that inhabit these environments are often rich in carotenoids. 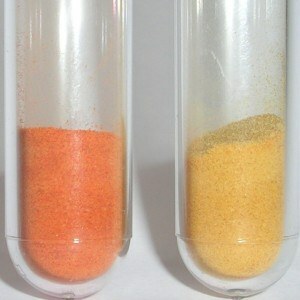 Carotenoids are of nutritional value and used as dietary supplements. When used as supplements the recommended daily allowance of carotenoids is often quite high (e.g., 800 mg/day for β-carotene). The reason for this is that carotenoids are rapidly degraded in the stomach which raises questions about their nutritional value. Spore carotenoids though appear to be gastric stable and studies currently in progress are designed to establish the uptake of spore carotenoids using in vitro and in vivo models. It is apparent that carotenoid-rich spores could be used commercially as dietary supplements providing a source of carotenoids as well as conferring probiotic properties. A further development with spore probiotics is that they can survive mild heat treatments used to sterilise food. In principle, spores could be added to beverages and foods yet retain their probiotic properties. Indeed, such probiotic foods have already entered the market with “Activate Muffins” containing GanedenBC30 launched by Isabella’s Health Bakery in the USA in 2008. SporeGen® has been involved in the identification and characterisation of carotenoid-producing Bacilli through the research of Prof. Cutting who lead the EU 7th Framework project known as COLORSPORE. SporeGen® is now focused on commercialising one or more of these carotenoid-producing Bacillus species for human and animal use and we are looking for interested parties for joint-development worldwide. Reena Khaneja, Laura Perez-Fons, Saad Fakhry, Loredana Baccigalupi, Sabine Steiger, Ellen To, Gerhard Sandmann, Tran Cat Dong, Ezio Ricca, Paul D. Fraser and S.M. Cutting. 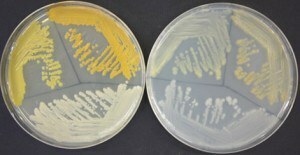 (2010) Carotenoids Found in Spore-Forming Bacteria. J. Appl. Microbiol. 108: 1889-1902. Huynh A. Hong, Ellen To, Saad Fakry, Loredana Baccigalupi, Ezio Ricca, Simon M. Cutting. (2009) Defining the Natural Habitat of Bacillus Spore-Formers. Appl. Environ. Microbiol. 160: 375-379. Huynh A. Hong, Reena Khaneja, Nguyen M. K. Tam, Alessia Cazzato, Sisareuth Tan, Maria Urdaci, Alain Brisson, Antonio Gasbarrini, Ian Barnes & Simon M. Cutting. (2009). Bacillus subtilis Isolated from the Human Gastrointestinal Tract. Research in Microbiology. 160: 134-143. H.A. Hong, J.-M. Huang, R. Khaneja, L.V. Hiep, M.C. Urdaci and S.M. Cutting. (2008) The safety of Bacillus subtilis and Bacillus indicus as food probiotics. J. Appl. Microbiol. 105: 510-520. Huang JM, La Ragione RM, Nunez A, S.M. Cutting. 2008. Immunostimulatory activity of Bacillus spores. FEMS Immunol. Med. Microbiol. 53: 195-203. IB Sorokulova, I Pinchuk, M. Denayrolles, IG Osipova, J-M Huang, S.M. Cutting, MC Urdaci. 2007. The safety of two Bacillus probiotic strains for human use. Digestive Diseases and Sciences. 53: 954-963. Tam, N.M.K., Uyen, N.Q., Hong, H.A., Duc, L.H., Hoa, T.T., Serra, C. H., Henriques, A.O. and Cutting, S.M. 2006. The intestinal life cycle of Bacillus subtilis and close relatives. J. Bacteriology. 188: 2692-2700. Duc, L.H., Fraser, P.D., Tam, N.M.K. and Cutting, S.M. 2006. Carotenoids present in halotolerant Bacillus spore formers. FEMS Microbiol Lett. 255: 215-224. Duc L. H., H. A. Hong, N. Q. Uyen, and S. M. Cutting. 2004. Intracellular fate and immunogenicity of B. subtilis spores. Vaccine 22:1873-85. Le H. Duc, Huynh A. Hong, Teresa M. Barbosa, Adriano O. Henriques, and Simon M. Cutting. (2003) Characterization of Bacillus Probiotics Available for Human Use. Casula, G., and S. M. Cutting. 2002. Bacillus probiotics: spore germination in the gastrointestinal tract. Appl Environ Microbiol 68:2344-52. Hoa, T. T., L. H. Duc, R. Isticato, L. Baccigalupi, E. Ricca, P. H. Van, and S. M. Cutting. 2001. Fate and dissemination of Bacillus subtilis spores in a murine model. Appl Environ Microbiol 67:3819-23. Hoa, N.T., Baccigalupi, L., Huxham, A., Smertenko, A., Van, P.H., Ammendola S., Ricca, E. and Cutting, S.M. 2000. Characterisation of Bacillus species used for oral bacteriotherapy and bacterioprophylaxis of gastrointestinal disorders. App. Environ. Microbiol. 66: 5241-5247. Green, D. H., P. R. Wakeley, A. Page, A. Barnes, L. Baccigalupi, E. Ricca, and S. M. Cutting. 1999. Characterization of two Bacillus probiotics. Appl Environ Microbiol 65:4288-91. S.M. Cutting, 2010. Bacillus probiotics. Food Microbiology. 28: 214-220. Van, P. H., Dong, T. C., and S.M. Cutting. 2009. Bacillus probiotics. Nutrafoods. 8: 7-14. Hong, H. A., H. Duc and S. M. Cutting. 2005. The use of bacterial spore formers as probiotics. FEMS Microbiol Rev 29:813-35. Nicola Manzo, Enrica D’Apuzzo, Pedro M. Coutinho, Simon M. Cutting, Bernard Henrissat and Ezio Ricca. (2011) Carbohydrate-active enzymes from pigmented Bacilli: a genomic approach to assess carbohydrate utilization and degradation. BMC Microbiology. 11: 198-. Perez-Fons, L., S. Steiger, R. Khaneja, P. M. Bramley, S. M. Cutting, G. Sandmann, and P. D. Fraser. (2011). Identification and the developmental formation of carotenoid pigments in the yellow/orange Bacillus spore-formers. Biochimica et biophysica acta 1811:177-185. Reena Khaneja, Laura Perez-Fons, Saad Fakhry, Loredana Baccigalupi, Sabine Steiger, Ellen To, Gerhard Sandmann, Tran Cat Dong, Ezio Ricca, Paul D. Fraser and Simon M. Cutting. 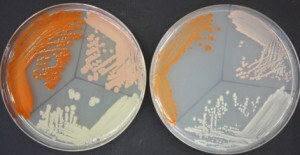 (2010) Carotenoids Found in Spore-Forming Bacteria. J. Appl. Microbiol. 108: 1889-1902. H.A. Hong, J-M. Huang, R. Khaneja, L.V. Hiep, M. C. Urdaci & S. M. Cutting. 2008. The Safety of Bacillus subtilis and Bacillus indicus as Food Probiotics. J. Appl. Microbiology. 105: 510-520. Duc, L.H., Fraser, P.D., Tam, N.M.K. and Cutting, S.M. 2006. Carotenoids in halotolerant Bacillus spore formers. FEMS Microbiol Lett. 255: 215-224.